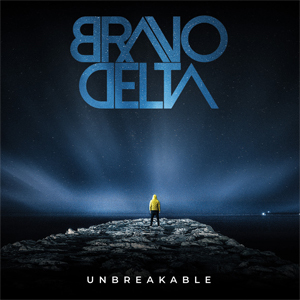 Las Vegas American Hard Rock band BRAVO DELTA is slated to release their first full length album Unbreakable on February 1st, 2019. The video for the title track "Unbreakable" can be seen on KNAC.COM HERE. “This new album and single is three years in the making and features the best material we’ve ever created. Being broken, disconnected, kicked to the ground…and still having the will to get up, fight, and learn from it is the spirit of Unbreakable. And I think you can feel that in the music, the artwork, and everything about this new album" says Brandon Davis. BRAVO DELTA was formed in 2011 and is comprised of Brandon Davis (vocals/guitar), Andy Ingraham (guitar), Brian Scott (drums), and Roman (bass). The band’s previous independent releases include two EPs, Shutdown Sequence (2013) and Sunset Wasteland (2012). Their music has been distributed worldwide via all major online retailers, and has been heard on Sirius Octane, Pandora, and several terrestrial radio stations in the US. BRAVO DELTA has shared the stage and toured with Nothing More, The Used, P.O.D., Corey Taylor (Slipknot/Stone Sour), Adelitas Way, Saliva, and Alien Ant Farm. Hailed as “one of the most exciting new bands I’ve come across in quite some time” by Laurie Steele of 92.3 KOMP rock radio (Lotus Broadcasting) in Las Vegas and called “a revival of hard rock” by Eventful.com, the band is known for energetic live shows, gritty rhythmic guitar, & socially conscious lyrics that explore the darker side of the soul. The band reaches 30,000 monthly on Facebook, has nearly 20,000 monthly impressions on Instagram, and over 12,500 YouTube video views.